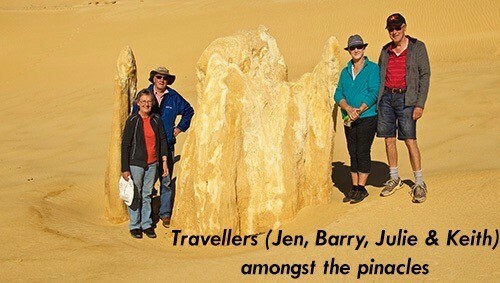 Every now and then Steve and I met at Nambung Station a great group of people traveling the west coast together. Julie and Keith, Jen and Barry are a great example of this and they recently shared with us there trip report of their experience. 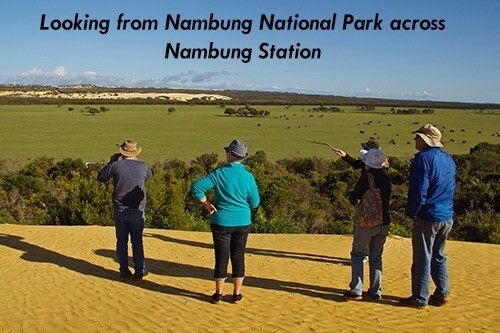 So here is a guest writer Keith’s experience of Nambung. It was wonderful meeting all and Steve and I look forward to our paths crossing again. Trip Report 9 by Keith Sutherland. 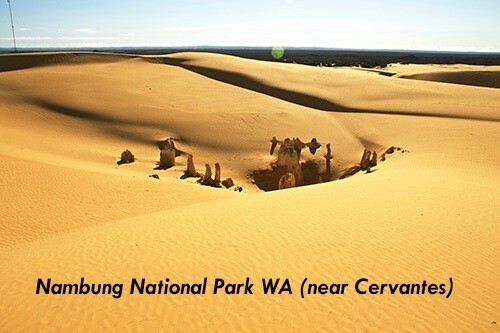 Hello again, this is probably my last message for this trip unless we see something spectacular between here (Perth and Batemans Bay), as we leave tomorrow to start on the homeward trek. Jen and Barry are staying on here for another week as they have friends and family to catch up with. Unfortunately some of our friends are like us, and travelling at present too, so we will have to catch up some other time. We have thoroughly enjoyed our travels together, and each will miss the company as we go our ways. Hopefully in the future we will find a common route that we can do together again. We had a lovely meal out to celebrate our journey and Keith’s birthday tomorrow. Now back to our farm stay! We met the owner while all were staying at Pardoo, and as usual we were chatting, when he said he was really “checking out” accommodation places, as he’d recently started his own, and gave us a rundown on it, and a leaflet. It all sounded interesting, so it was set to be our last stop before Perth! Keith phoned to make the booking, and we arranged to get there early in time to do a wildflower tour and watch the sun set over the dunes. 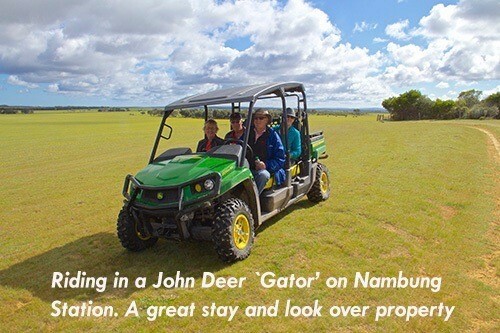 We were transported in the “Gator” by Ali, who was a very knowledgeable person on the area, which she fell in love with some years ago, and happened to be staying there with her husband when the owner mentioned that he was going away! Alison and Steve offered to stay on while Brian and his wife were away and help the manager! We all enjoyed our ride down the farm to the area of bush where there were flowers everywhere. As there were others also staying that night we were ferried down, then walked some of the track back. We were the first group down, and the last group back, as we had all enjoyed finding different plants, birds etc along the way, and took lots of photos too. Alison and Steve are also keen photographers so were very happy to find others who enjoyed things they did. The sunset was pretty spectacular too, as it was partly cloudy. The next day we were going on a farm tour, as the owner (Brian) was back from a funeral in Perth. We were collected at 8am and given the choice of vehicle. Jen and I chose the ute, and the guys went in the gator with Ali. 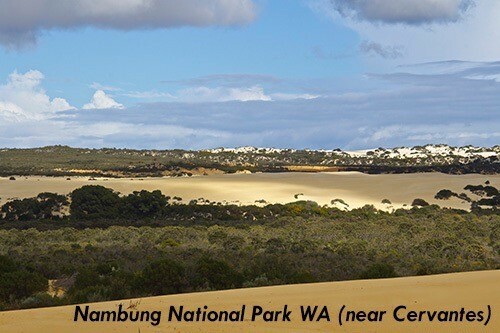 The farm is very picturesque, with the backdrop of sand dunes and natural bush, and backs onto the Pinnacles Nat. Park. 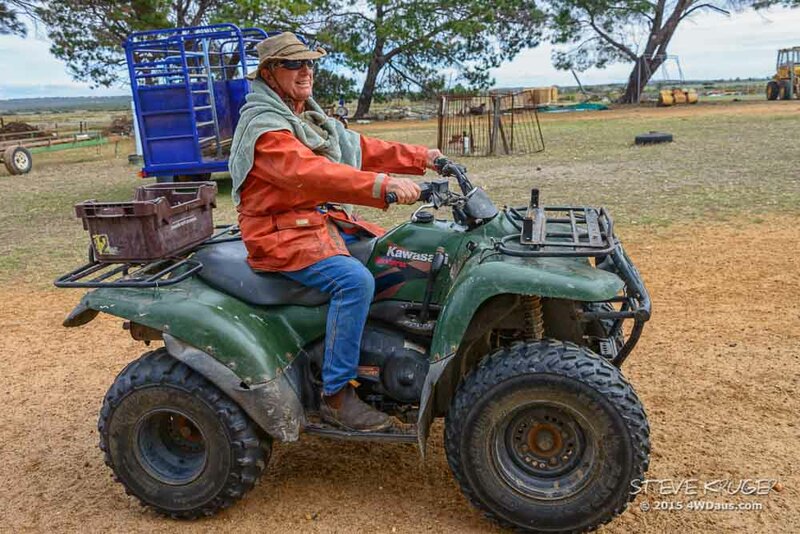 Brian runs cattle, and merino sheep, and there are Roos and emus around as well as lots of birds. We stopped at the dunes and got out and walked, or should I say climbed up the dunes. 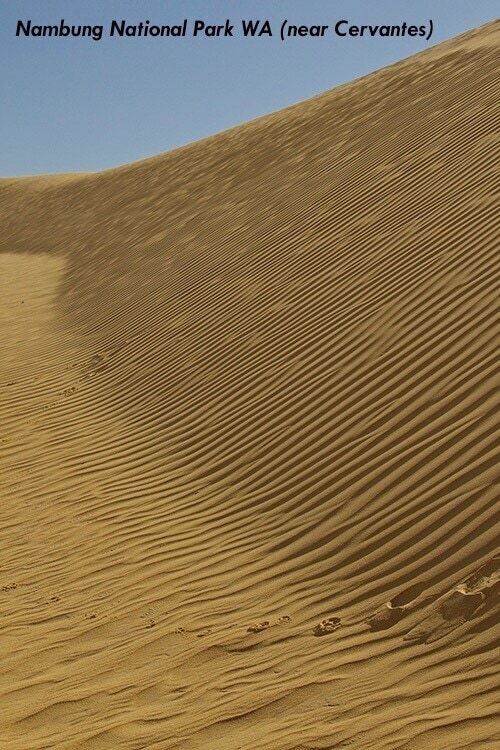 They are high, so it was a bit of work, but by standing on the footsteps of the person in front it gives good grip and much less impact on the dunes. 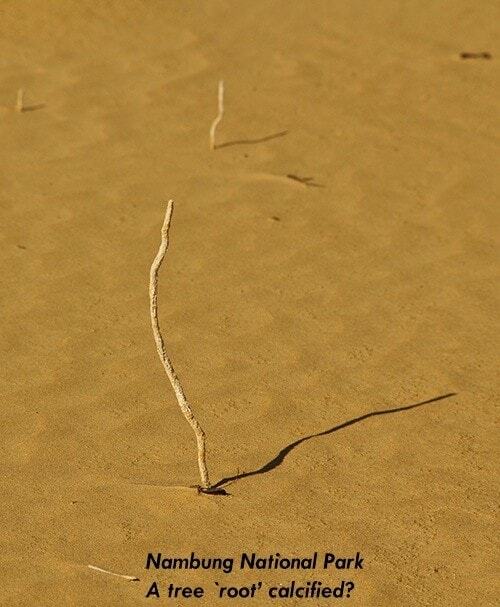 We were able to see emu prints, along with other birds and bugs etc, and dog prints!!! Not what Brian wanted to see close to his sheep!! Not sure if it was a wild dog or a dingo, but he was putting the word out to his neighbours to be on watch for it. 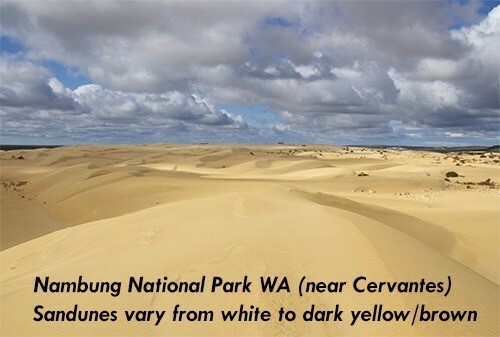 The dunes were absolutely spectacular and pristine, as we had views for miles around, and all the patterns made by the changing winds were amazing. Just when we thought we’d seen it all they led us up a bit higher still and over the top were the pinnacles. 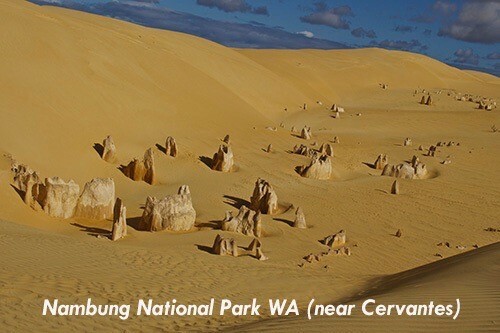 These are quite different to those in the NP (public access) as they are smaller, most around the same height, different colours, and certainly don’t all conform, as some look like rock formations, and others could have been calcified trees etc. It was magic, and we felt very privileged to have been there. 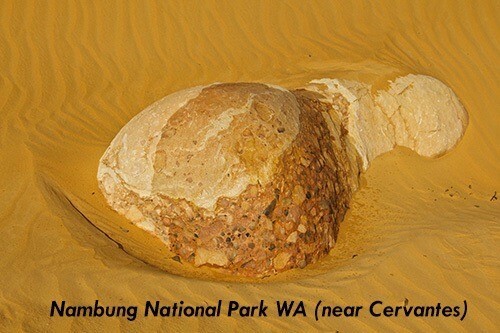 Nature has many wonderful forms, and never fails to inspire and impress! Looking forward to returning home to family and friends in a few more weeks. 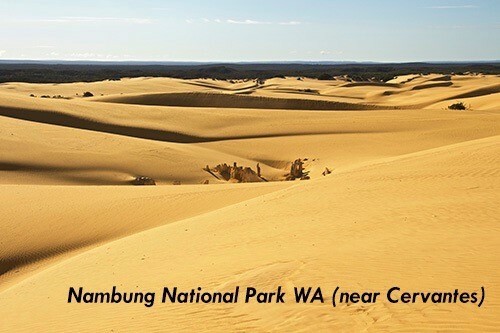 We are going home via the Nullabor, Adelaide and Melbourne! Love Julie and Keith, Jen and Barry.